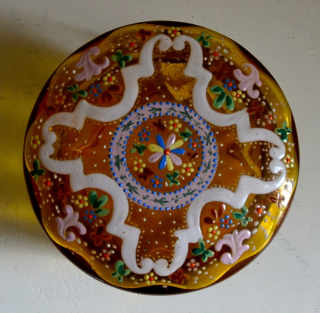 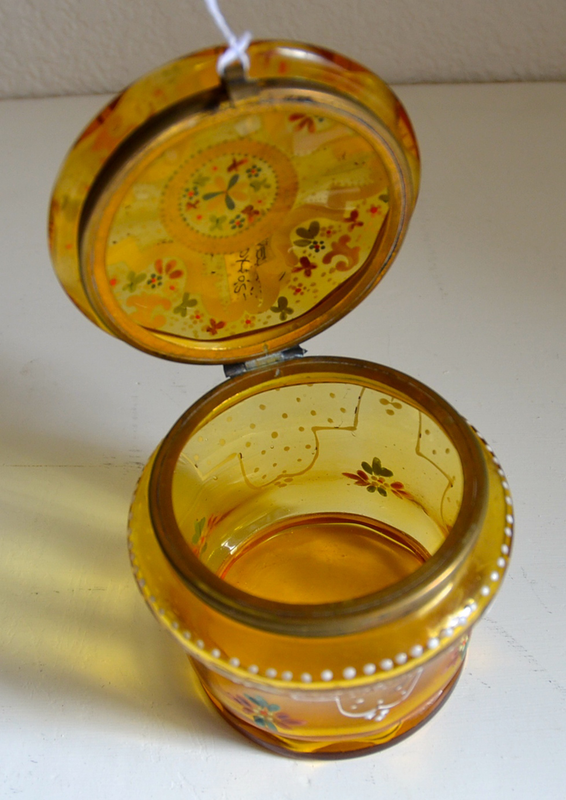 Beautiful vintage dresser box made from amber glass and with a hand-done enamaled pattern. 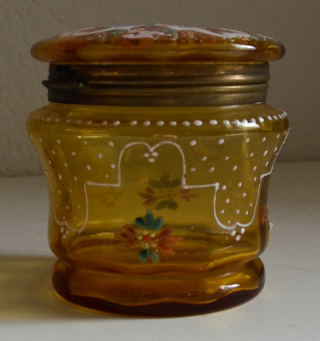 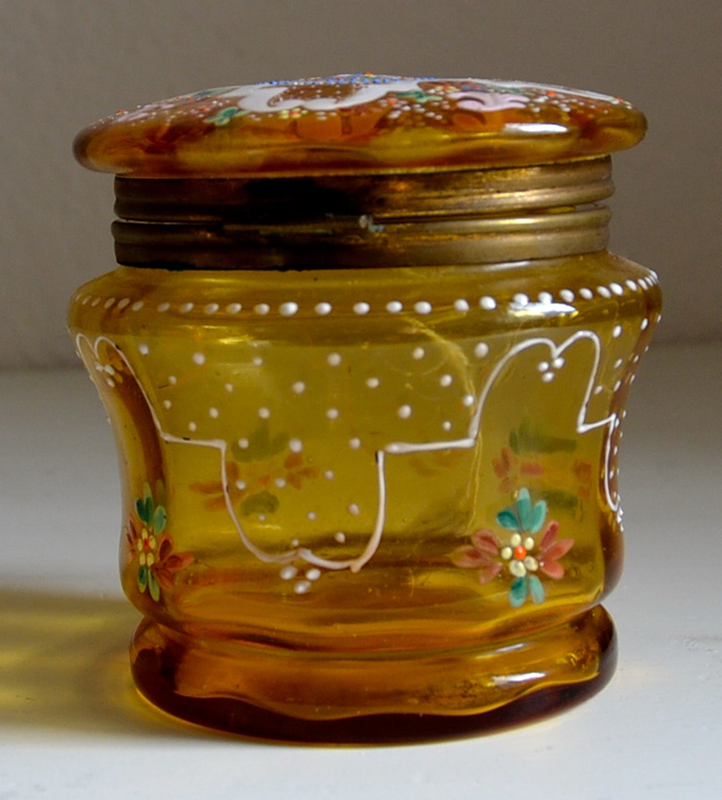 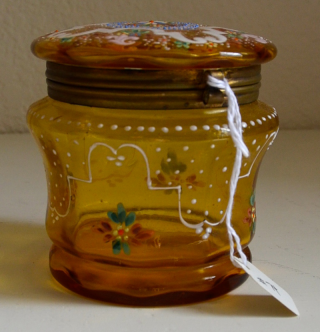 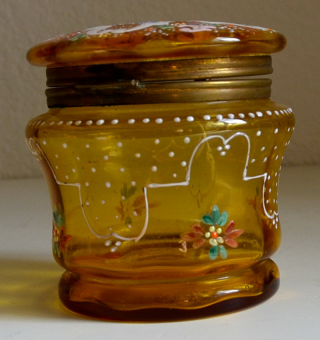 The box or jar was made c. 1900 and is in excellent condition. 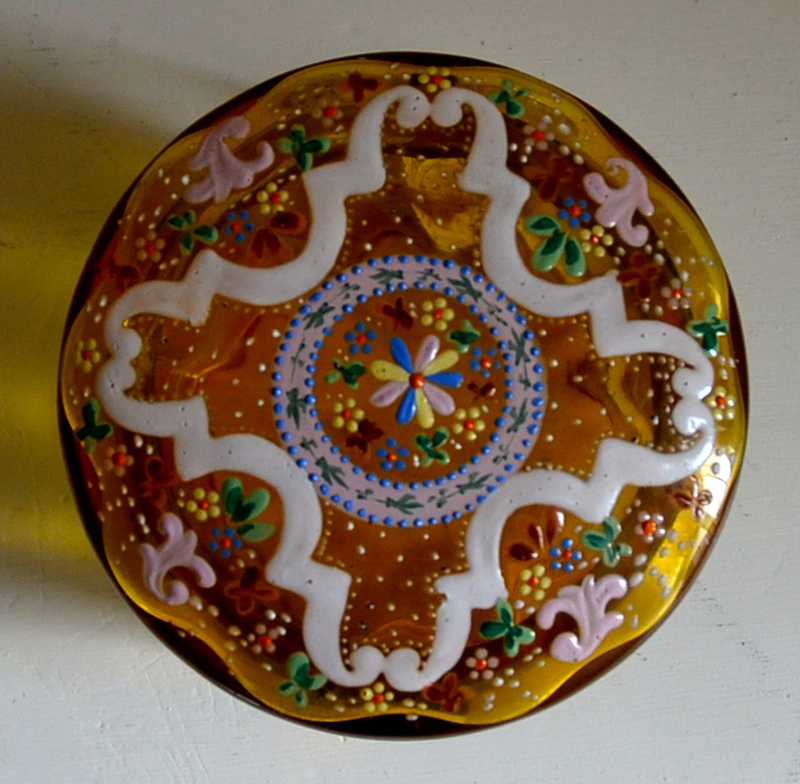 Measures 3-5/8″ high x 4″ wide. 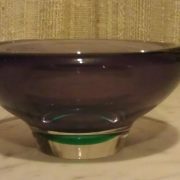 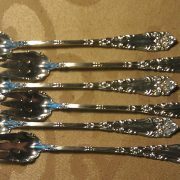 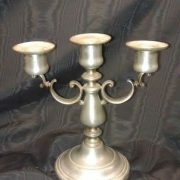 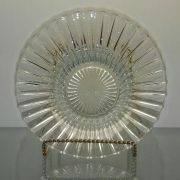 A truly wonderful piece for your home.